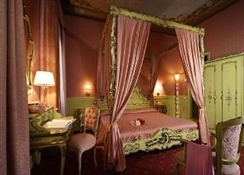 The ideal choice for a wonderful holiday in one of the most elegant hotels in all of Venice. 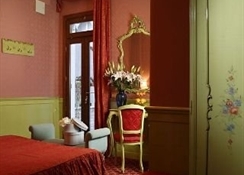 Enveloped by the warm atmosphere that radiates its Venetian-style decor, this XVI century palace offers its guests to truly special sensations. A love nest for an exclusive and romantic getaway for two. 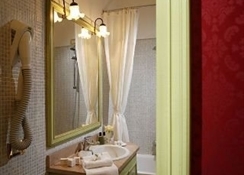 The Hotel is presented as one of the best located hotels in Venice. 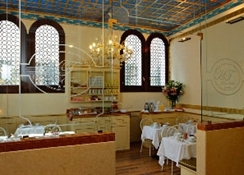 Next to the beautiful Campo (or square) of Santa Maria del Giglio, the hotel is just minutes from the Teatro la Fenice.